28 oz. 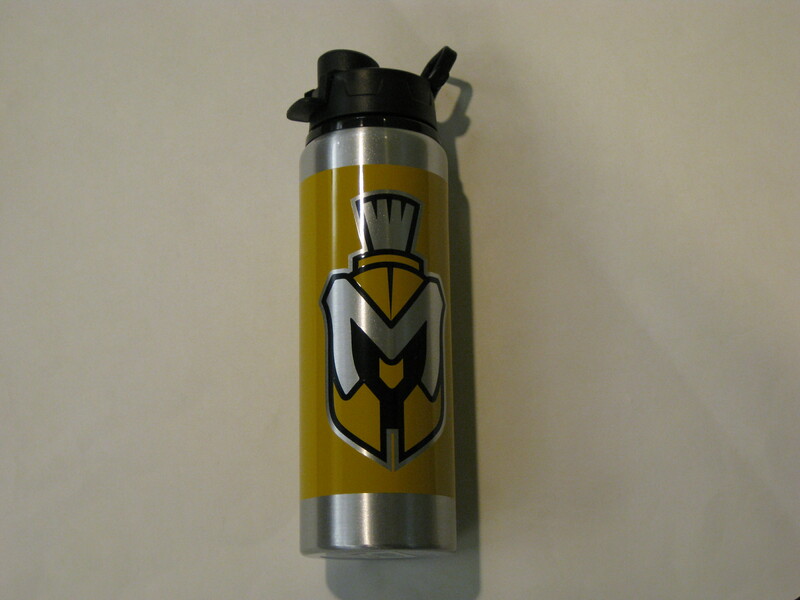 aluminum water bottle with pop open drink thru lid. Full wrap artwork of our Spartan head and Manchster University.